Along with the popularity of vaping as an alternative for adult smokers has come a more troublesome group of customers: curious teenagers. And as with other adult products, the need to discourage use by adolescents requires regulators and legislators to find the proper line between child and adult — the age at which adolescents are allowed to make their own decisions about what they should or shouldn’t consume. In most countries, vaping is either regulated as a tobacco product, as a standalone consumer product category, or it isn’t specifically regulated at all. In about 40 countries, vapor products are banned altogether. In those nations that regulate vapes, the legal age to buy e-cigarettes is usually the same age at which citizens are considered adults. In most places that age is 18, but it varies, as we will see. What is the legal age to buy vapes in the U.S.? Implementation of the FDA’s Deeming Rule in 2016 brought with it a federal ban on the sales of vapor products to those under age 18. By deeming the tobacco-free devices and e-liquids to be tobacco products, they fell under existing federal age restrictions for selling tobacco products to minors. The age restriction had been a big part of the demand for FDA regulation of vaping products. In the years before implementation of the new rules, anti-tobacco activists had portrayed the vaping market as a “wild west” that needed to be tamed by the federal agency. Of course, the truth is that 48 states already had their own age restrictions when the Deeming Rule took effect, and some states have a minimum age that’s higher than the legal adult age of 18. Alabama, Alaska, and Utah have set 19 as the legal age to buy vapes. Buyers must be 21 in California, Hawaii, Maine, Massachusetts, New Jersey, Oregon, and Virginia. The legal age is also 21 in the District of Columbia and U.S. territory Guam. In every other U.S. state and territory the age is 18. Tobacco 21 is an organization dedicated to increasing the legal minimum age to purchase tobacco and nicotine products to 21. Proponents say that if young potential smokers (or vapers) don’t socialize regularly with people able to legally purchase tobacco products (or vapes), fewer teenagers will have access, and fewer will become frequent users at an early age. The 2018 JUUL panic brought about intensified efforts to ban vapor sales to minors. In fact, vaping may now be a bigger motivator than smoking for passing Tobacco 21 laws. Despite Commissioner Scott Gottlieb’s “teenage vaping epidemic” proclamation, the FDA is prevented by the Tobacco Control Act from increasing the federal minimum age to purchase tobacco products beyond 18. That means that state and local laws are filling the gap – at least until Congress changes the law federally. Tobacco 21 is the brainchild of an Ohio State University medical professor and tobacco control activist, and it has been a ringing success. So far, seven states (and D.C.) and more than 425 cities and counties have adopted 21 as the legal age to buy cigarettes (and usually vaping products too). Every tobacco control and special interest health group supports the Tobacco 21 movement. So do the major tobacco companies and JUUL Labs. The Tobacco 21 parent organization, the Preventing Tobacco Addiction Foundation, not only opposes smoking, but also maintains a zero-tolerance policy toward low-risk nicotine products. In fact, Tobacco 21 founder Rob Crane actually opposes laws that would increase the legal age to buy cigarettes if they exempt vaping products. Of course, many 18- to 20-year-old adult smokers will be denied the opportunity of using low-risk nicotine products when the law in their state or city bans vape sales to those under 21. Additionally, according to a recent study, young people who want to vape nicotine are likely to smoke instead if vapor products are denied to them by age restrictions. Just saying no to nicotine may sound good to tobacco control activists and protective parents, but what it means to many young people is three years of using nicotine in whichever product is the most convenient to obtain. Cigarettes will almost certainly be the easiest recreational nicotine product for a minor to get their hands on. And the longer they wait to quit smoking, the harder it becomes. Tobacco 21 is an easy way for state lawmakers to show their concern, since it’s supported by just about every tobacco control, drug prevention and health organization in the country. Passing a law to restrict vaping products is the easiest of easy wins for headline-hungry state legislators. The only people likely to object are vapers and retailers, but lawmakers know they’ll get public praise from trusted tobacco control groups like the heart and lung associations. Less than a month into 2019, nearly 20 bills to increase the legal purchasing age to 21 have already been introduced — including in Colorado, Connecticut, Illinois, Indiana, Iowa, Mississippi, Nebraska, New Mexico, New York, South Carolina, Texas, Vermont, Virginia, Washington, New Hampshire, Minnesota, West Virginia, Oklahoma, and Michigan. State lawmakers in Connecticut, Iowa, and Nebraska have even proposed upside-down “vapor 21” legislation — laws that would punish sales of vapes to minors, but allow under-21 customers to buy cigarettes and other combustible tobacco products! What is the legal age to buy zero-nicotine products? It seems logical that e-liquid without nicotine would have fewer restrictions than e-juice with nicotine. However, in the U.S., it makes no difference as far as the law is concerned. All e-liquid can only be sold to adults. 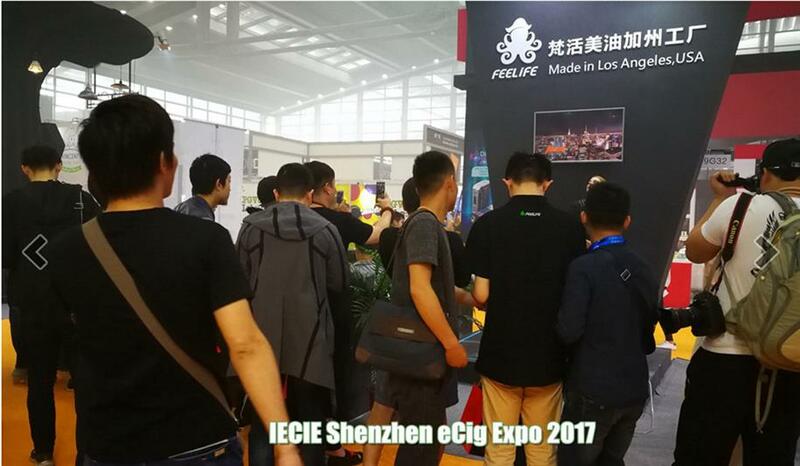 As long as zero-nicotine e-liquid can be used in a “tobacco product” (like a mod or atomizer) that could also be used with nicotine-containing e-liquid, the nicotine-free e-liquid is also considered a tobacco product. It sounds silly, but that’s how the FDA made sure that the definition of a tobacco product included things like atomizer coils, batteries, computer software…and zero-nicotine e-liquid. Again, the Deeming Rule doesn’t specify how old you have to be to vape without nicotine. Rather, it prevents retailers from selling vapes to minors. Whether zero-nicotine products are illegal to vape if you’re under 18 is up to local lawmakers, and you should check with them to be sure. What are the legal ages to buy vapes in other countries? Aside from countries that have banned sales of vapor products completely, and a surprising number that have no vape regulations, most countries simply follow their legal adult ages when setting a minimum age to buy e-cigarettes. As in the United States, some other countries have state or provincial laws supersede the national minimum age for buying vapes. Canada, for example, has a national minimum age of 18, but many provinces and territories have set the age to buy vapes at 19. In Australia sales of nicotine-containing consumer products (except cigarettes) are illegal, but non-nicotine vapes are legal, and the legal age to purchase varies from state to state. Despite the Tobacco 21 wildfire raging across the United States, only two other countries in the world (Honduras and Palau) have decided citizens must be at least 21-years-old to buy a vapor product. If you are planning to visit another country, please check with authorities to find the most recent information on vape laws and practices. Our list comes mostly from the Johns Hopkins University Global Tobacco Controlsite, and from original research. In every country, there is an established age of majority, the age at which a young person is first allowed to vote, enter contracts, apply for credit, serve in the military, and buy alcohol, tobacco, and other products considered inappropriate for children. No one really knows when adolesence ends and adulthood begins. In fact, it’s different for everyone. Legislators try to choose an age at which young people have more adult traits than childish ones. Tobacco 21 is extraordinary because it judges smoking (and vaping) so dangerous that the choice to do it must be taken away from young adults who are trusted to drive, get married, and fight in wars. To include vapor products in such legislation is to make a judgement about vaping that doesn’t seem to be supported by the scientific evidence. And in most other places around the world, legislators have so far not found sufficient evidence to support such an extreme measure.